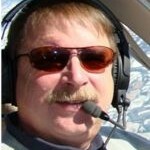 The idea of using simulators for Lancair training, and the Evolution fleet in particular, has been the subject of much debate over at LancairTalk.net. Mr. Austin Meyer, an Evolution owner and tech developer, posted about his XForce sim for the Evolution. The XForce package looks great and includes the RealSimGear G1000 hardware suite, which emulates a G900X dual screen, but it doesn't include the Moritz or Unova touch screen or other cockpit switches and displays. The software flight engine reportedly emulates the flight dynamics of Austin’s Evolution. With technological advances in hardware manufacturing and performance, the cost for flight simulators continues to decline, and the XForce is no exception. At $4565, the XForce is about half the cost of similar units. The question is are systems like this worthwhile for an Evo or Lancair owner? The answer is it depends. To be sure the XForce system is not a simulator by the FAA’s definition, nor is it a Basic Aviation Training Device (BATD) or Advanced ATD (AATD). Pilots who wish to use a training device for certificate training or fulfilling currency requirements should review FAA Advisory Circular AC-61-136B, which details guidance for qualifying and use of AATDs and BATDs. Devices used for maintaining instrument experience or currency under 14 CFR 61.57 c(1) must either be a full flight simulator, flight training device or aviation training device (ATD). There are specific functions and maneuvers the device must be capable to obtain a Letter of Authorization (LOA) from the FAA, which is required before the device may be used to log time. As far as I have been able to determine, the XForce does not presently qualify for a LOA from the FAA. Does that mean the XForce and systems like it are useless? Not necessarily. You can still use the XForce for practicing and learning certain tasks. The industry calls devices like these “part task trainers" (PTTs), because they can assist in learning certain tasks or portions of tasks, but cannot be used to gain proficiency or mastery of any. In the case of the XForce, it can replicate many of the functions of the G900X, but there are other functions and tasks performed in the aircraft that the device cannot replicate. For example, the pressurization and environmental controls, lighting, O2 systems, in many Evo aircraft reside in an overhead panel, and circuit breaker panels can be located in numerous places, depending on the owner's/builder's whim. The PTTs that I used in the Navy were sometimes nothing more than a chair in front of life-sized cockpit posters that we drilled with to learn the locations of the numerous switches and circuit breakers. Systems like Xforce are a great deal more effective than the primitive tools we used way back in the dark ages, but they still have significant limitations. XForce may be a great way for pilots—especially pilots without Garmin G1000 experience—to become familiar with the Evo G900X. Can all of your transition training be done in a device like this? Not yet. Not even close. But like the PTTs we used in our Navy training, it can be used to accelerate familiarity with a major portion of the instrument panel and to develop sound procedures for using one of the most important systems in the aircraft. Think of it this way: devices like the XForce are an excellent supplement to the flight training you'll need to become a safe, proficient pilot. More later! For questions/comments on this post contact Jeff via email: j.edwards [at] lancairowners.com.